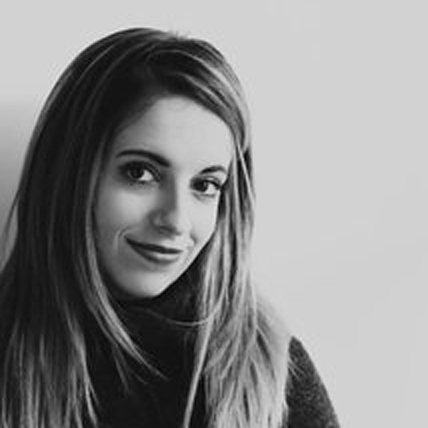 Carley Smale is both a writer and director of development who’s worked extensively at Chesler/Perlmutter Productions, one of the leading producers and distributors of television movies in Canada and the US, and is now represented by Integral Artists and is pursuing a full-time writing career. Holiday movies and family entertainment are big business that aspiring screenwriters should be aware of. With over 16 movie credits to her name, including The Christmas Parade, Merry Matrimony and On the Twelfth Day of Christmas, Carley talks about breaking in, her role, genre, plus much more. How did you get your first big break in the biz? – I interned for almost a year during my 4th year of college and made 50 bucks a week, under the table, reading scripts and doing coverage. Through that year, my goal wasn’t to prove I should be hired as a writer by bombarding my boss with movie treatments, my only goal was to convince him that he needed me around and that the company would be better off with me there. Whether it was cleaning out the fridge, picking up dry cleaning, or organizing years worth of newspaper clippings, I didn’t care. When he recognized that I was reliable and very eager to help out in any way he put a lot of trust in me and eventually I started taking on a much more significant role. Can you tell us about the role of Director of Development? How does it differ from your role as a Screenwriter? – Director of Development required reading tons of scripts and treatments, having meetings with writers, preparing network charts, development charts, basically every type of chart there is and just being extremely organized and on the ball. As a screenwriter, you spend most of your days writing from home in your pajamas and being extremely focused on providing the best script possible. Do you work on several different movies at the same time, if so, how much time do you spend on each project, deal with deadline pressures, and juggle your workload? – My experience so far has always been one script at a time. I’m sure more seasoned writers work on several at a time, but I’ve never done that. And I usually give myself 2 months to finish a script. Given the many genre conventions and audience expectations that come with Christmas family movies, what are producers looking to see in new scripts? – I think it’s all about having a story that feels familiar and inviting and wholesome but with enough of a hook that people are still intrigued and not totally bored. You can’t go wrong with a good “ticking clock” trope where something must happen before a certain time or else the protagonist is doomed forever. Conflict is key to any story, even Christmas ones! Do TV budget constraints affect the writing and concept? – I try to never think about budget when I write or else it would take the fun and creativity out of it. However, with that being said, I am cautious about having too many locations or key characters just in case that turns off producers. At the end of the day, I try to keep the concept simple with a really good title and not write past page 83 so that there is lots of room for producers and directors to mould the story in a way that best suits their budget or network. Which parts of the job do you find the most rewarding, and which, the most challenging? – Finishing a script is always rewarding. It’s a big deal to start a feature script and actually stick with it until the end, even if it’s not that good. The most challenging part is starting. Staring at a blank page is very intimidating. Is it easier to break into writing TV movies than into features? Are aspiring screenwriters possibly overlooking the many great opportunities here? – It’s hard to say what’s easier. Writing opportunities are never going to fall in your lap. I’d suggest just writing a script you think is really good and could sell, then write a 1-pager with an awesome logline and short synopsis and send it out to agents. All it takes is one person to find potential in your idea and the next thing you know it’s getting a premiere date. What advice can you give to writers trying to break into Christmas TV movies? 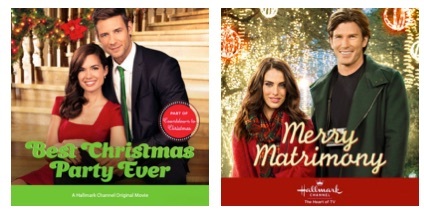 Should they be submitting their Christmas spec scripts to production companies such as Hallmark etc.? – Hallmark does not take unsolicited scripts, so I’d suggest doing your research and figuring out which production companies take unsolicited scripts or sending your material to agents who will then pitch for you. If you want to write Hallmark Christmas TV Movies, the best thing you can do is watch as many as possible and understand what it is they are looking for. Can you tell us a little bit about the project you’re currently working on? – Right now I have two Christmas scripts being reviewed, so fingers crossed! Finally, has working on Christmas movies all year round now ruined Christmas in real life for you? – Definitely not. Christmas is still my favorite time of year!